Business analyst has become a new buzzword in the field of Information Technology jobs. Let’s decode this word and analyse whether it is worth all the attention. According to Australian Computer Society a business analyst is the person who, “Identifies and communicates with users to formulate and produce a requirements specification to create system and software solutions”. Translating technical jargon in to business English, what this means is a business analyst will look at the gap between where a business currently is and where it wants to be, find ways (primarily ICT based solutions) to bridge that gap and then communicate that solution to all internal and external stakeholders like business owners, sponsors or any facilitators. 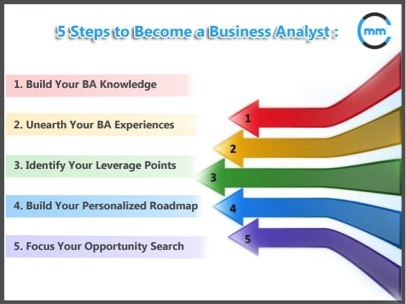 How do you become a business analyst? The path starts from a degree of business analysis, which is provided by various universities. Professional certifications are also available at IIBA (International Institute of Business Analysis). Australian chapter of IIBA provides 4 different certifications depending on your experience, starting form fresh graduate to professionals who have over 10 years of experience. What will you do as a business analyst? Some of the responsibilities that a business analyst has to take are review the business scenario to come up with opportunities, make a business case for it and come up with specific plan and requirements, review test cases and help in execution of the plan by facilitating communication among various stakeholders. Hopefully, this gives a better picture of business analyst, makes you realise that it is more than a buzzword and establishes the argument in favour of having one for your business. I will make an attempt to explain the use of blockchain and how its profile became so high that in today’s computing world it becomes vital to learn about it. To be able to understand blockchain, it becomes necessary to throw some light on the pre-existing international money transfer system we have in place as an example. Traditionally, if one needs to transfer the money to someone else internationally, it is done via trusted third parties. These trusted third parties in turn charge a small percentage as a fee to send the money across. The procedure takes between two to three days. The blockchain addresses the flaw in the traditional system and attempts to eliminate the need of third party hence, not only it allows the transferee to be able to directly transfer the amount but also nullifies the charge/commission demanded by the trusted third parties who facilitate the transfer process. Furthermore, this new process is conducted in real time i.e, the transfer occurs immediately without any delay. For example, person ‘a’ has $10 and wants to transfer $5 to person b. Person ‘a’ can do it over the network (internet) where, a record is maintained of such transfer. This record is referred as ‘ledger’. Now, lets assume, that person ‘b’ then transfers $3 to person ‘c’, this transaction will again to registered onto the ledger. Interestingly, this transaction will be linked to the previous transaction as well in the ledger thereby, creating a chain of transactions linked with each other. The existence of such a ledger would record the money person ‘a’ is left with after he/she has transferred $5 to person ‘b’. That means, not only the ledger maintained a record of the amount transferred but it also maintains a record of available balance with each participant. As such, if the participant tries to send the amount greater than he/she has as available balance, the ledger will not validate it and the transfer will not proceed. This ledger is open to public. However, Blockchain focuses on a de-centralised system/body/entity. That means, the ledger will not be maintained by a single body/entity. In-fact, it could be maintained by anyone who wishes to (as it is open to public). Those entities that maintain these ledgers are referred as miners. Think of miners as those people or entities who voluntarily choose to maintain the ledger. There could be multiple miners willing to keep the updated copy of ledger. The copy of this ledger with each miner must have the same information. Now, lets say person ‘c’ wants to transfer $1 to person ‘d’. Before the transfer can take place, person ‘c’ would be required to broadcast his/her intentions and amount. It then becomes the job of a miner to pickup that broadcast and confirm with the ledger to find out whether person ‘c’ has $1 in his/her account as available balance and, then add it to the ledger. A miner would need to invest in computational power to be able to track/trace previous transaction so that it can link the new transaction to old one on the ledger. In return, the miner gets a financial reward which could be a crypto-currency e.g. Bitcoin. The first miner who could trace and add a transaction onto that ledger would get rewarded. The miner would also publish the formula to trace previous transaction in order to validate the new one. This formula could be called as key. Other miner would be able to see that key published on the network and, would know that the puzzle to find a previous transaction in order to validate the new one has been solved. As such they will not invest in re-solving the puzzle instead, just add the new transaction onto their own copy of ledger and start looking out for a new puzzle/transaction to validate. While one finalist is a pioneer in fixing people’s faces, another finalist was chosen for his Aboriginal clothing label. Entrepreneur Dion Devow from the ACT was awarded for his ambition to turn derogatory terms into more positive ones. Mr Devow named his fashion label Darkies Designs and collaborates with Aboriginal designers and artists (According to ABC News). Lots of music in February, so this bulletin includes links to two very different musical acts. We are also very pleased to be able to confirm the start of the ANTaR ACT book group in March – more details below. Tuesday 13 February marked 10 years since Kevin Rudd made a formal apology to the Stolen Generations in the Australian parliament. To mark this, the Healing Foundation (http://healingfoundation.org.au/) held a concert at Federation Mall, with reflections on the significance of the apology between the performers. A highlight was Archie Roach singing Took the Children Away, still so powerful showing the pain so many experienced. You can see a video of the song here: https://youtu.be/aywDT6yHMmo . Canberra’s Multicultural Festival celebrates the many different cultures that are part of the Australian community, and includes an Indigenous Showcase, put together by the ACT NAIDOC committee. This year the time allocated was less than previous years, which was disappointing, but a very excited crowd enjoyed Baker Boy’s performance on Saturday night. A completely different musical experience – watch Baker Boy here: https://youtu.be/dxjFNvwZUhA . The most recent Canberra business yarning circle was held on Friday 9th February (click here to watch a short clip of the yarning circle). Established in 2015, the yarning circle is a forum that provides mentoring and advice for new Indigenous businesses. It is held by Yerra, an Indigenous majority managed and owned consulting, IT services, and recruiting business (https://yerra.com.au/about/). The managing director of Yerra is Indigenous entrepreneur Dion Devow, who was named 2018 ACT Australian of the year for the yarning circle and his enterprise Darkies Design, which collaborates with Indigenous designers and artists to produce Indigenous-themed clothing and print media (click here to see Dion’s Facebook page). 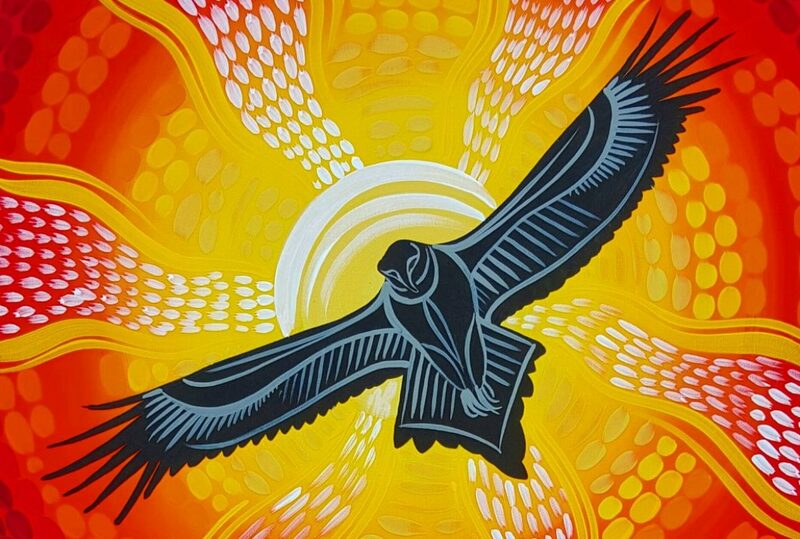 In 2018, ANTaR ACT member, Valerie Albrecht, will host a book group to discuss a range of books by Aboriginal authors, on the second Wednesday of every month. The first book is Am I Black Enough For You? by Anita Heiss, with the discussion on Wednesday 14 March, 7-9 pm, at Belconnen Arts Centre, supper provided. The full program is available here. If you can make it, please email info@antaract.org.au or call 0406 052 339. The next monthly ANTaR ACT meeting will be on Monday 5 March, at 6pm, in the Snug Room at King O’Malleys, Civic. Come along to find out more about what we are planning for 2018, including advocacy around a range of issues related to the local concerns for the Change the Record (https://antar.org.au/campaigns/justice) and Family Matters (https://antar.org.au/campaigns/children-out-home-care ) national campaigns. Any questions, please email info@antaract.org.au. ANTaR ACT invites people to provide us with their email address if they would like to learn more of our activities, relevant coming events, and matters of interest. Someone, hopefully you, has provided your address. If youâ€™d like to be removed from this mailing list, simply click on â€œUnsubscribeâ€ below. Colin Anstie the CEO of Raging Digital Company speaks about “Digital Marketing” in the workshop. The Digital Marketing workshop was held on 21st February 2018. Presenter Colin Anstie explained briefly about “Digital Marketing” achieving marketing objectives through applying digital channels, technologies and media.